A quite surprising discovery by astronomers recently is a black hole with a period of 12 billion times bigger than the sun. Black holes are thought to have formed approximately one billion years old. A scientist named Xue Bing Wu origin Peking University in Beijing, China, and colleagues found a black hole with a bright object called a quasar. For more convincing, the team of scientists using telescopes in China and the United States to analyze the black hole's distance from Earth. Once calculated, the black hole distance of 12.8 billion light years from Earth. 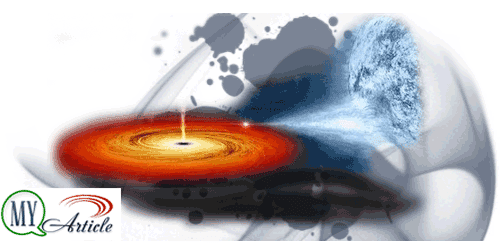 While surrounding the quasar black holes, formed from gas heating and light that falls into the black hole. Black hole called J0100 + 2802 was estimated to have a size of 12 billion times the mass of the Sun, as reported through NewsScientic pages, Thursday (26/02/2015). One British scientist estimates that although huge, black hole is not dangerous. "Everyone thinks dangerous black holes and able to swallow anything around them, but it's not going to happen," said Daniel Mortlock from Imperial College, London. Need further investigation of the process of formation of a black hole J0100 + 2802, but is expected giant hole begins with a few small black holes formed in the early universe cluster. Over time, the hole grew up sucking gas content with each other. Even so, scientists have not been able to provide answers about the origin of the bright objects that are in the vicinity of the black hole.